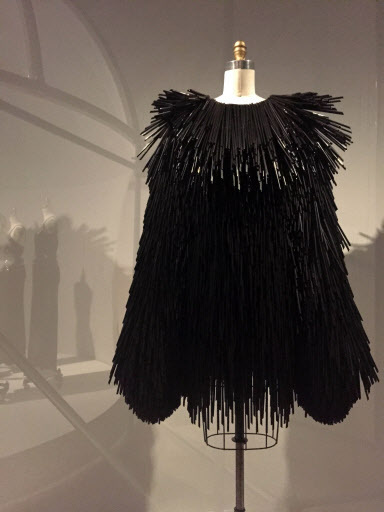 NEW YORK (AP) -- For decades, argues Andrew Bolton, the star curator of blockbuster fashion exhibits at the Metropolitan Museum of Art, we’ve all been looking at fashion through a flawed prism. We’ve assumed, he says, that hand-made garments are better, purer, fancier, more luxurious. And that machine-made garments are inherently inferior, even mediocre. We’re wrong, Bolton says, and his new Met exhibit opening this week, “Manus x Machina: Fashion in an Age of Technology,” seeks to prove that the machine is an “equal protagonist” to the hand in creating the best fashions of our recent past, our present and our future. 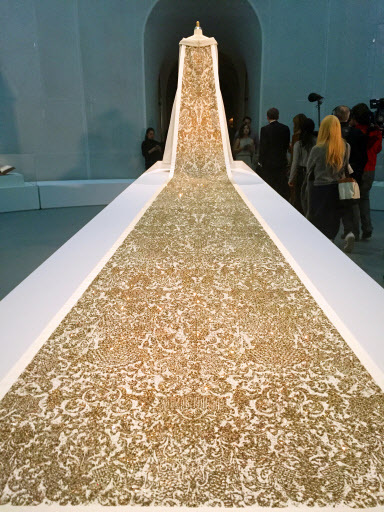 Bolton introduced his new exhibit to the media on Monday just hours before the annual Met gala, the hugely star-studded charity gala run by influential Vogue editor Anna Wintour for her 18th time this year. The evening brings in millions for the museum, and the red carpet is always a dizzying display of luminaries of film, music, sports and of course fashion. Regular folks who aren’t famous enough to score an invite to the gala can simply come see the exhibit beginning May 5. They’ll be greeted, first, by a stunning wedding dress by Karl Lagerfeld for Chanel’s 2014 couture collection with a massive golden train that, for Bolton, exemplifies the best sort of hand-machine fusion. The dress -- made of a synthetic fabric called scuba knit -- was hand-molded, machine-sewn, and then hand-finished, with intricate embroidery in pearls and gemstones that form a glittering baroque pattern. “In total, the train required 450 hours of workmanship,” Bolton says -- and yet the machine process was as integral to the overall effect as the handiwork. Bolton says he was inspired to create the exhibit, which covers fashions from as early as the late 19th century to the present, when he examined Yves Saint Laurent’s famous 1965 “Mondrian” dress, reflecting the linear designs of the Dutch painter, in the museum’s archives. “We discovered it was made almost entirely by machine,” he said Monday. He was surprised. Some of the garments in “Manus x Machina,” which is sponsored by Apple, are made mostly by hand, and some mostly or even entirely by machine. But most of them -- from a diverse grouping of the world’s greatest designers -- are a combination of both. The British designer Gareth Pugh, for example, presents two dresses from his recent collection that are made of plastic drinking straws, one in all black and one in all white. “Every straw was cut by hand,” the designer explains in accompanying notes. They were attached, each individually, to a shift of machine-sewn black silk and wool. On the more classic side, there’s a 1953 Dior haute couture dress -- machine sewn, and hand-finished with stunning artificial flowers, clover and grass in green, pink and purple silk floss. One would be hard pressed to imagine there’s a machine-made element to it, but that's Bolton’s point: Haute couture and ready-to-wear are overly strict definitions, in his view. As if to prove Bolton’s point, a section of the exhibit on lacework includes the most traditional of items -- an 1870 Irish wedding dress, for example, of hand-crocheted cotton lace, designer unidentified -- and the most modern, but equally intricate. 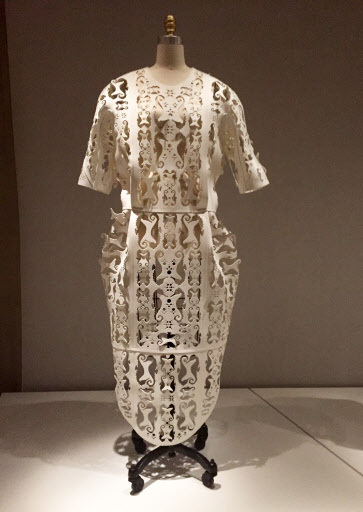 One white dress looks like it’s made of laser-cut leather, but actually it’s crafted from foam. The garment, by designer Thom Browne, was cut by a machine, sewn by a machine, and finished by a machine.